Henry Clay Helm served as a member of Duluth’s Board of Park Commissioners from 1891 to 1903 and became the Zenith City’s first park superintendent in 1899. Helm was born in 1844 in Logansport, Indiana. Not much is known about his early years, but when the Civil War broke out he was living in Monticello, Minnesota. He enlisted with the 8th Minnesota Volunteer Infantry Regiment in August 1862, and rose to the rank of sergeant before mustering out in June 1865. The 8th spent most of the war battling Native Americans in the Dakota and Montana territories, but later participated in battles in Tennessee and North Carolina. By the time the war ended, the 8th Minnesota had travelled more miles than any other regiment of the Union Army. Helm, a Republican, ran for alderman of Duluth’s Sixth Ward in 1889 but failed to get his party’s nomination. Two years later he was appointed to the brand new Board of Park Commissioners and elected the board’s secretary. By 1899 Helm was receiving a salary of $25 per month for his work as secretary when the board decided to also employ him as the first superintendent of parks. In 1903 Helm resigned as a member of the board to devote all his time to the job of park secretary/superintendent. In 1898 Helm found himself at the center of controversy when members of the West End Commercial Club objected to the construction of a stone wall in Lincoln Park, which they claimed was a project directed by Helm. The club members saw the wall—estimated to cost $5,000—as an unnecessary expense that would injure local property values and spoil the looks of the park. Construction was stopped, but the issue led to accusations of favoritism by residents of West Duluth who thought a park in their neighborhood was long overdue. 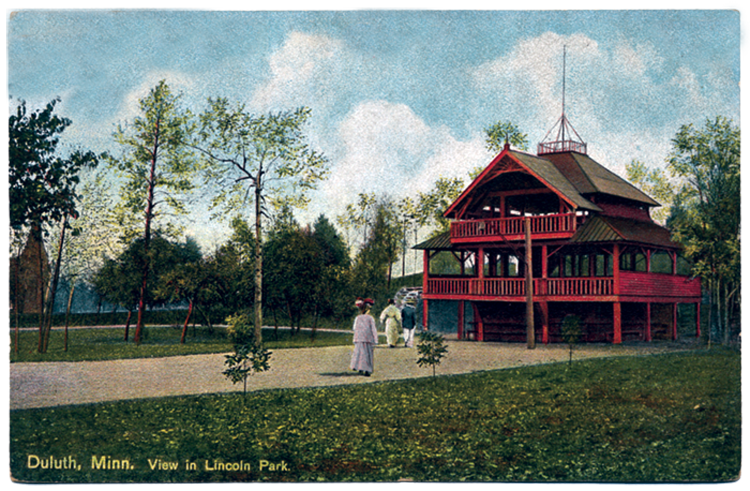 According to the Duluth News Tribune they claimed that Lincoln Park—located in the West End, where Helm lived—had been “constantly improved…through the influence of Secretary Helm…while all requests for West Duluth’s proposed park [were] met with a deaf ear.” The group also expressed their belief that Helm, as secretary and superintendent, was “practically the entire board. 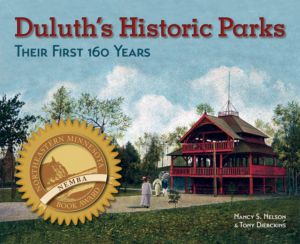 He is said to audit, approve, and pay all bills for the board, and to generally control the park system affairs.” Further, the entire board was “avowedly against West Duluth.” West Duluth residents would finally get their park, Fairmount, in 1901. That same year Henry Helm resigned as park superintendent, reportedly due to failing health, and moved to the West Coast to eventually become a fruit farmer in Forest Grove, Oregon, where he died on February 1, 1920. His brief obituary credited him as being instrumental in the improvement of Cascade, Lincoln, Fairmount, and Lester Parks.